TENS therapy has been providing relief from pain for many years. 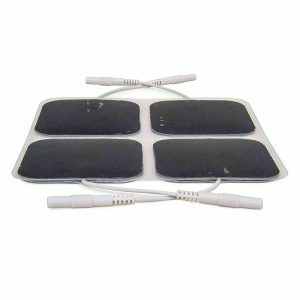 These units provide a low volt electrical stimulation that can be used on many areas of the body to reduce pain. Due to advances in technology, electrical stimulation is now more affordable and easier to use. 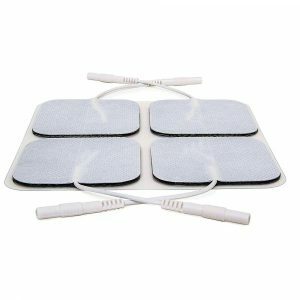 With the advent of “over the counter” tens units, which do not require a prescription, just about everyone can benefit from this therapeutic method. TENS is a basic and easy to use therapy for acute as well as chronic pain. It is a non-toxic, non-invasive form of pain management. 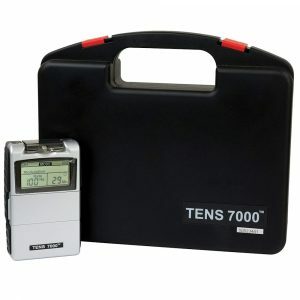 In the early 70’s, tens began its use in clinics as a compliment to other therapies that can be used at home. The units were heavy, more difficult to use regarding electrodes and gel, and very expensive. The method of pain relief is thought to a modification of painful sensations referred into the spinal cord through electrical stimulation of nerves. This stimulation has been indicated to lead to the production of powerful pain relieving chemicals in the body called endorphins. 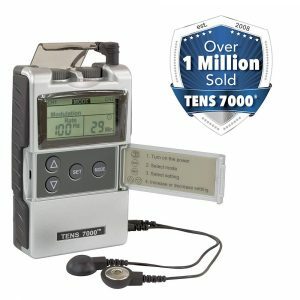 TENS is commonly used in musculoskeletal disorders and is the most often used form of pain relief via electrical stimulation called electroanalgesia. The big thing now is to avoid passive modalities in favor of more active methods in order to avoid dependency for neck and back pain. This is great, but there are many factors involved with pain, especially chronic pain. The use of passive modalities like tens units can be combined with other forms of therapy and can help reduce pain, therefore, helping to make active care easier or more patient compliant. There is always a risk of dependence for any modality; medications, heat, massage, adjustments – any therapy. After all, we are hoping patients become dependent on active care. We want this to be habit forming. So, active care is the standard of care; and we are not seeing a decline in neck and back pain! A 2013 extensive scientific literature review of tens therapy published in the European Journal Of Translational Myology found clinically relevant pain relief for tens in 90 painful conditions. The authors noted a majority of the scientific studies indicated relief for many conditions, and this confirms the usefulness of TENS for pain relief. Neck pain from musculoskeletal disorders is a common complaint which is often worse in the morning, eases during the day and gets worse again at night. This is often seen with cervical spine arthritis. Pain referred from the neck can cause headaches, shoulder stiffness, and upper back pain between the shoulders. 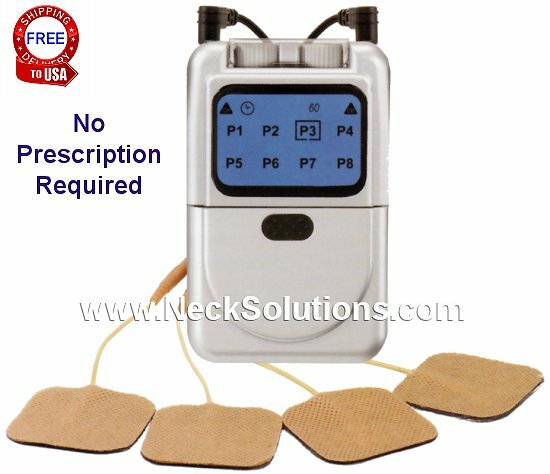 A study in the 2010 Journal of Clinical Medicine Research used TENS therapy to treat musculoskeletal related neck pain. TENS was applied to the neck at the most tender area. The results showed significant pain reduction in the cervical region, indicating it was an effective form of pain relief. In some subjects, marked tens pain relief in the neck was noted after just 1 treatment, lasting up to 1 week. Considering the limited treatment od 1 hour long session, frequent applications were suggested to provide additional relief. 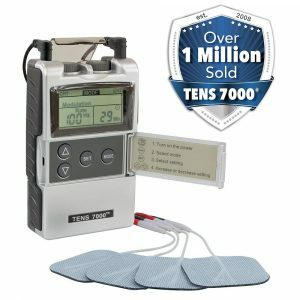 The authors of the study noted TENS units are cost effective, portable, easy to use, allow freedom of motion during treatment, and are appropriate for self treatment at home. The authors of the study indicated TENS may be used for relief, reducing reliance on pain medications. Another study in the 2012 Ortopedia Traumatologia Rehabilitacja Journal studies the effects of traction and tens therapy on subjects with chronic cervical spine pain. They used the saunders neck traction device with and without tens therapy. The authors based their results on range of motion improvement of the cervical spine. Postural problems and other neck issues frequently cause a limitation of motion. Measuring this range of motion is a method frequently employed by doctors and therapists to assess and monitor progress. The authors noted that after 3 weeks of rehabilitation, the largest increase in motion was found in subjects receiving traction plus tens treatments. This further indicates the usefulness of tens therapy as an effective component in the rehabilitation of the cervical spine. A 2005 study in the Clinical Rehabilitation Journal compared results from treatment of subjects with chronic neck pain using a combination of exercise, infrared and tens. They found only the tens subject showed significant reduction in pain ratings, but those receiving both exercise and tens showed the greatest improvement in pain, muscle strength and disability. The effects were additionally noted at six months follow up. A 2008 study in Atencion Primaria used tens or manual therapy on 90 patients with neck pain and found that manual therapy (hands on therapy techniques) and tens produced significant results, with no difference between the 1 forms of treatment. A study in the 2013 Orthopedics Journal evaluated the financial & clinical impact 1 year after of tens therapy on back pain and found that those using tens had significantly lower clinical and hospital visits, had less imaging studies, less therapy visits and needed less back surgery compared to other therapy modalities, and encountered less expenses. A 2016 study in Surgical Technology International found TENS to be a safe alternative to potentially dangerous side effects of anti-inflammatories and narcotics for chronic lower back pain. The authors concluded that treatment produced significant pain reduction, may lead to a decrease in use of pain medication, and should be included in managing chronic low back pain. 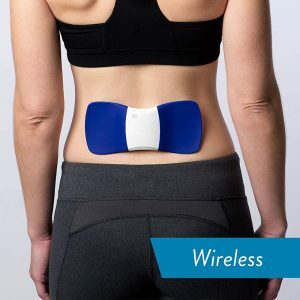 The scientific study below indicates a Tens Unit & Back Belt Package is an effective method to apply tens to the lower back. The belt is made of neoprene and has connectors in the belt. It also comes with 4 reusable electrodes and lead wires. Fits up to 40 inches. A 2011 study in the Journal of Back & Musculoskeletal Rehabilitation determined the effectiveness of tens on lumbar spine disc disease on a sample of 120 patients with back pain syndrome related to pathology of the disc (discopathy). The authors noted tens has a pain relief effect and improves functional fitness compared to those not receiving electrical therapy. A 2010 study in the journal Ortopedia Traumatologia Rehabilitacja studied the effect of tens therapy on lumbosacral degenerative disc disease. 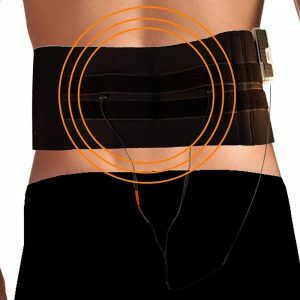 They used a beck belt for tens treatment and applied therapy three times a day for twenty minutes. They noted significant levels of improvement in all subjects for pain relief, mobility and function, indicating the therapy was both effective and appropriate. The authors of a 1993 study in the journal Pain found tens for chronic low back pain had a significant effect when used repetitively for relative pain unpleasantness and pain intensity, displaying an additive effect over a series of treatment. A 1983 study in the Physical Therapy journal compared massage and tens treatments for low back pain. The results indicated tens offered significantly better pain relief, producing greater improvement in straight leg orthopedic testing and a pain related questionnaire. The authors indicated evidence is convincing that relief substantially lasts longer than the time of actual treatment. Treatments in the study were twice a week for 30 minutes. A 2012 study in the journal Medycyna Pracy analyzed the effects of tens on quality of life in lower back pain patients. The authors concluded that tens therapy is effective for low back pain patients, can be used along with other methods of treatment and has the ability to improve the quality of life.